Royal Ottawa: Is the private operator trying to push costs onto the public payroll? Approaching its five-year anniversary, a new wrinkle has developed between the private developer and the public tenant over the cost of dieticians at the Royal Ottawa Health Centre. The hospital has twice tried to advertise a position that should, under its contract, belong to Carillion, the P3 operator. The blurring between public and private has been a continual problem at the mental health hospital. Now the private consortium is trying to offload one of its costs – for an administrative dietician – on to the hospital payroll. The question is, if Carillion is supposed to be providing this service, why is the hospital being asked to essentially pay twice for the same service? Having originally listed the position as an administrative dietician, the hospital corrected the situation by re-advertising for a charge dietician — a position that works directly with patients to recommend appropriate diets. However, the job description is still mostly that of an administrative dietician, which is responsible for working with food services in preparing the diets. It appears the hospital and Carillion have simply changed the title to duck responsibility for the costs. The Royal Ottawa has had continual food services problems since moving into the privatized facility in 2006. Part of the problem has been the lack of appropriately credentialed staff in food services, which is the responsibility of Carillion. It is not the first time there has been a dispute over costs at the hospital, managers claiming after the first year that the lack of access to the services contract means they are continually asked to pay for costs our of their clinical budgets. The Royal Ottawa Mental Health Centre opened October 27, 2006 claiming to be on time and on budget. However, staff quickly complained to the Ministry of Labour that they had been moved into the building prematurely and faced significant safety risks as construction continued around them. After delays with the other P3 – Brampton’s William Osler Hospital – there was a significant push to validate the privatized option by showcasing the Royal Ottawa. There was also one other incentive to move in early – the private consortium would not be paid until the premises were occupied. The ROMHC was originally designed to hold 284 beds at a cost of $95 million. It opened as a 188 bed hospital costing $146 million under the P3 arrangement. In 2010 Carillion’s international operations posted almost $300 million Canadian in reported profit, an increase of 24 per cent over the previous year. As the coming Ontario election unfolds, it is unlikely the opposition parties will go after the dozens of public-private partnership (P3) deals signed by the McGuinty government. The darling of governments of all stripes who want to move debt off-book, P3s have been a costly boondoggle across Canada. At a time when the public is bracing for cuts to public services, the lack of debate over the squandering of billions on such enterprises is sadly missing. The Maritime Provinces were early adopters of so-called “public-private partnerships” to build and operate public infrastructure. The Confederation Bridge betweenPrince Edward Island and New Brunswick was one of the first mega projects developed under the model, while Nova Scotia embarked on an ambitious program to privately build and operate public schools. The Nova Scotia government of Russell McLellan lost an election over the P3 issue after the news media jumped all over scandals involving costly public schools built and operated under such contracts. Secrecy, or what the corporations like to call “proprietary information,” has kept watch dogs and even government itself from prying too closely into these deals. In PEI the Federal government put strict conditions on the privatization of the Confederation Bridge project. The Federal subsidy was not to exceed the cost of its support to the former ferry service, and that tolls to the public must not exceed charges from the former ferry crossing. These rules did allow for toll adjustments based on 75 per cent of the consumer price index, and the Federal subsidy was also indexed. In 1988 the auditor estimated the ferry subsidy amounted to between $26.7 million and $36.9 million. The subsidy to the P3 consortium was set at the high end of that scale — $35.3 million annually. In addition the Federal government also incurred direct costs: $41 million for highway improvements leading to and from the bridge, $46 million for project development, and $15 million for regional development in PEI and New Brunswick. While P3 promoters boast they bring projects in on time and on budget, it took 10 years to discover there was a $330 million cost overrun on the $1 billion bridge. That overrun, combined with higher than expected maintenance costs, may mean that the rules may change, a bailout may have to take place, or the Federal government may have to assume ownership – and related financial obligations — of the bridge. The bond ratings agencies lowered Strait Crossing Ltd – the P3 operator – to a BBB (lower medium grade) in 2010. Discontinuation? Yes, the company actually asked to be taken off the bond rating service. Two major projects, two major failures. Ontarians deserve to know what’s in all the McGuinty P3 deals for hospitals, court houses and other infrastructure development. The Ontario Health Coalition and a consortium of unions – including OPSEU – spent more than two years in court to get most of the details of the William Osler Hospital deal– the first privatized general hospital to open in Canada. What we found was a terrible deal for the public. The Ontario auditor later confirmed what we already knew – the Osler cost nearly $500 million more than had the project been undertaken as a traditional public procurement. With impending delays and high costs associated with the Osler, the government decided to make a showcase of the Royal Ottawa Hospital when it opened as a P3 in October 2006. The project was touted as on time and on budget, but neither was true. The hospital was originally scheduled to open in July, not October. Even in October the Royal Ottawa wasn’t ready. Fire alarms didn’t work. The wireless environment was so dysfunctional the hospital later spent $1 million hard wiring the building. Magnetic doors failed. Personal alarms were absent, putting staff at risk. To make a point about the efficiency of P3s, the hospital was occupied anyway. The Royal Ottawa was originally planned in 2004 as a 284-bed facility at a cost of $95 million. Instead it opened as a 188 bed facility that cost $146 million. This election, politicians of all stripes should be asked about these privatization deals. The auditor has already warned us that health care is facing considerable austerity under the Liberal plan. The Tories are offering even less in funding. Can we really afford to squander billions more on these boondoggles while our hospitals and community-based health providers struggle? 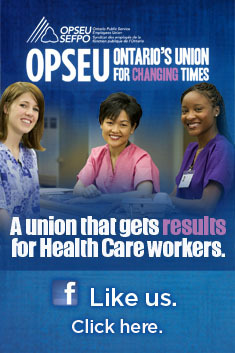 The William Osler and Royal Ottawa are only two out of more than 150 hospital corporations in Ontario. There are more than 30 hospital P3 projects in various stages of development. And that’s just health care. This needs to be an election issue, even if all three parties are reluctant to talk about it.